I store my bikes in the garage, but I also use that same space for metal and wood-work. Even welding. 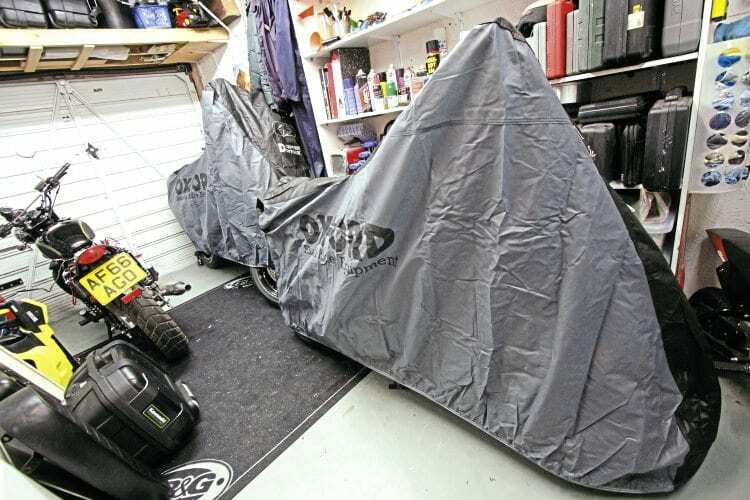 While no cover will protect against molten steel, the dusty environment of my workshop isn’t the best place for my bikes’ paint. That, and the fact that I’ve been known to be a little clumsy when carrying stuff in and out. 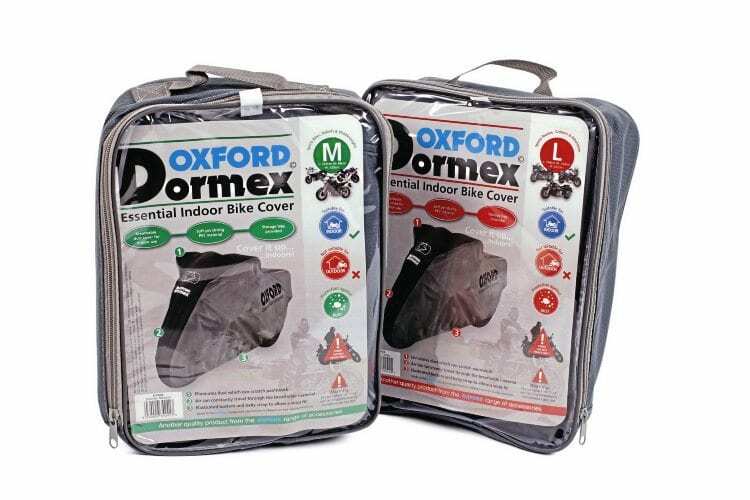 Designed purely for indoor use, the Dormex covers are soft and breathable. 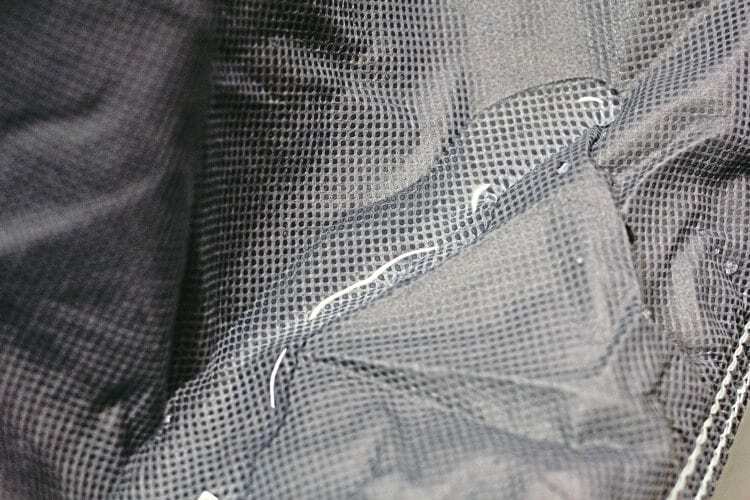 They do also repel water though – to the degree that if I spilt some liquid on one, I’d have time to get the cover off without it reaching the bike. While it’s not their purpose, the covers do repel water splashes. 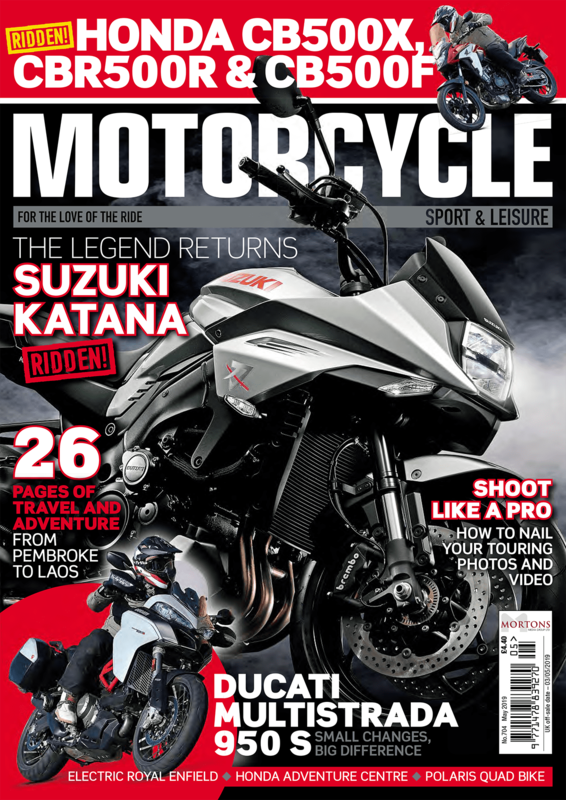 The medium, priced at £24.99, is a perfect fit for my XSR700. The elasticated bottom keeps it snug against the wheels, and while there’s also a strap that can be clipped underneath, this seems a little pointless, as you’d need a hurricane-like draft indoors to lift it. The front and rear are labelled with red tags, and the subtle design on the outside also makes it easy to orientate. I like the black/grey style as it doesn’t scream too loudly ‘motorbike here’ to anyone passing when the garage door’s open. 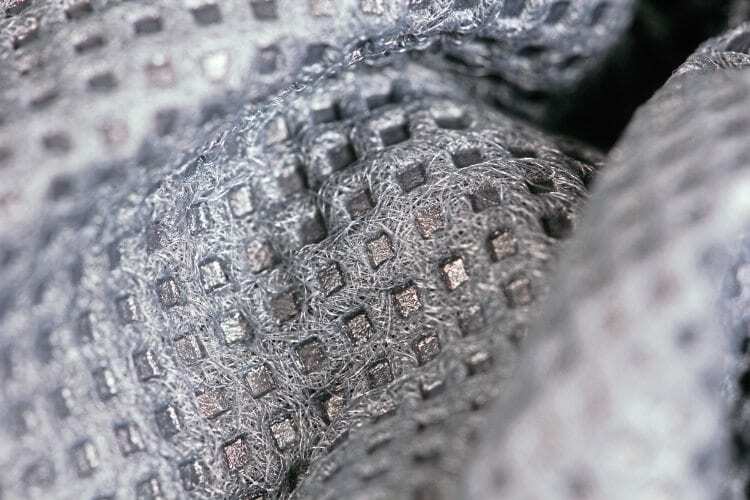 Up close, the cover is a fine weave of synthetic material. I also have the £29.99 large on my 1050 Adventure, though while Oxford assures me this is the correct size, it seems a little tight to me, especially if I leave the panniers fitted. It’s important that the cover doesn’t reach the ground, to stop it picking up dirt and to keep air moving, but this struggles to cover the bottom the KTM’s front calipers. The covers come with a handy storage bag.